Thus wrote Laura E. Richards in her memoir of Edwin Arlington Robinson. 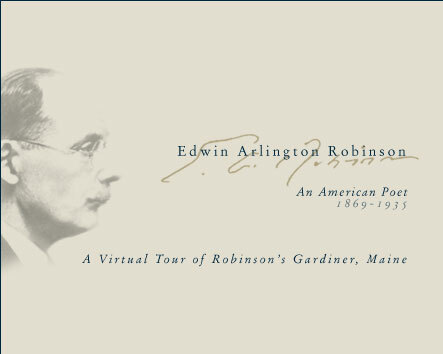 We invite you to view this website and decide for yourself which local characters Robinson evoked in his poetry. You will see the places he saw, read his poems, and view photos of family and friends. We hope that these bits and pieces of local lore will inspire everyone to visit Gardiner, Maine, and walk the streets of Robinson’s hometown. Welcome to Robinson’s Tilbury Town. 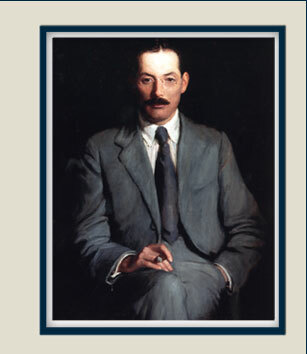 Portrait of Edwin Arlington Robinson by Lilla Cabot Perry, 1916. Courtesy of Colby College Special Collections, Waterville, Maine. 152 Water Street, Gardiner, Maine 04345, and the Gardiner Library Association. the J. W. Robinson Welfare Trust Fund, the Gardiner Library Association, and the Gardiner Board of Trade.